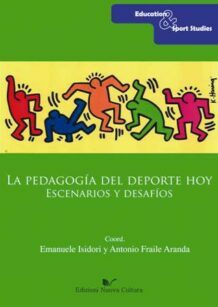 Home / Aree Scientifiche / Area 11 - Scienze storiche, filosofiche, pedagogiche e psicologiche / Collane di Area 11 - Scienze storiche, filosofiche, pedagogiche e psicologiche / Collana "Education&Sport Studies"
All manuscripts sent for publication in this series must be in English, Italian, Spanish, French, or Portuguese. They will be evaluated according to the following criteria: interest to the general field of humanities as applied to sport and physical activity; significance of contribution, originality and innovation; international relevance; coverage of appropriate existing scientific literature; adequacy of methodology, analysis and interpretation; clear and concise writing style and error free writing; organization. 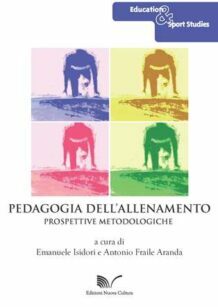 All books in this series will undergo rigorous peer review, based on initial editorial screening of two reviewers from the scientific board who are matched to the manuscript in accordance with their expertise, and review by two anonymous external referees. 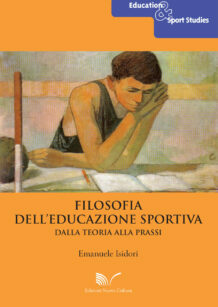 Education and sport studies is an international and multilingual scholarly book series, promoted by the General Pedagogy Laboratory of the University of Rome “Foro Italico”, which wishes to encourage European as well as world wide diffusion of such scholarly contributions as books and original essays. 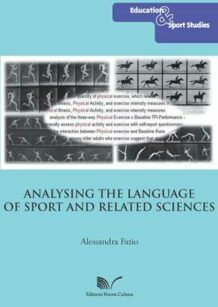 The series accepts contributions not only from scientists and educationists studying the relationships between education and sport studies (pedagogy, philosophy, psychology, history, economy, sociology, law, linguistics, anthropology, geography, literature, communication studies), but also from professionals with theoretical and empirical interests relating to an emancipative and critical point of view on sport and physical activity in contemporary culture and society.